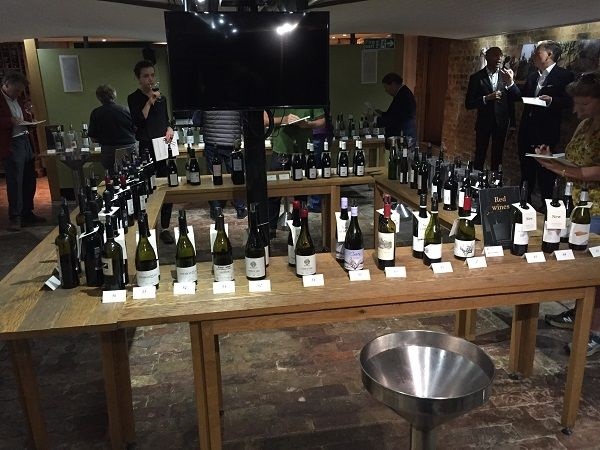 The Berry Bros & Rudd Autumn / Winter press tasting, in stark contrast to the Co-op supermarket’s Autumn press tasting exactly a week before, showed the other half (well, small slice, in volume terms) of the wine world. With none of the wines that I chose to taste coming in at shelf-prices less than £11.45, and only one other cheaper at £9.95, this is very much what the elite drink. 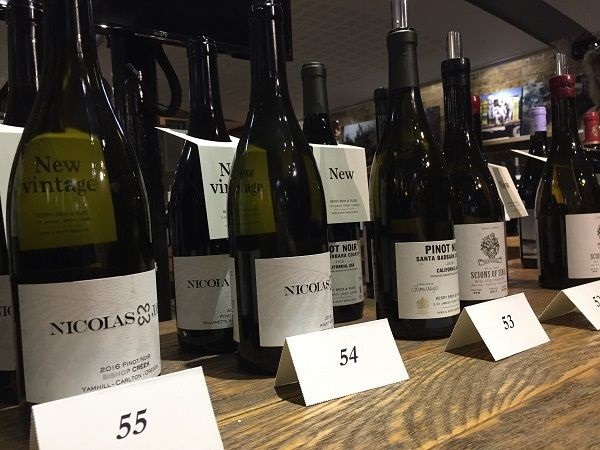 While scores were therefore unsurprisingly higher across the board – no lower than 15 / 20 or 86 / 100 on any of the wines I tasted – many of the prices felt expensive, even at these higher price-points. Finding value here is therefore as important as it is, hunting through £6-8 wines. The range shown was nevertheless eclectic and interesting, and included wines that were both extraordinary and decidedly more ordinary. Value-for-money highlights included Legado Chardonnay from Limarí by Chile’s excellent De Martino family winery, a new agency for Berrys – £13.95 for the wine. Cheaper at £11.50 was Bodegas Los Friales Efe Monastrell Valencia 2017, with plenty of dense berry fruit, crushed rock minerality and polished tannins. Finally Berry Bros own-label Côtes du Rhône 2017, really delivered at £11.45, with floral character to this multi-layered wine. Contrast that with the effortless elegance and sophistication of its big brother, the Bishop Creek from the Yamhill-Carlton AVA, and the poor value of the Willamette Valley wine is complete. Not that the Bishop Creek is exactly stunning value either, at a Grand Cru-equivalent £109 per bottle. And speaking of Burgundy, though prices have escalated rapidly, across the board, £85 for Bitouzet-Prieur’s Meursault 1er Cru Charmes was pretty eye-watering for what’s in the glass. I did, however, particularly enjoy discovering the wines of Scions of Sinai from Stellenbosch. Their low-intervention, low sulfur approach could have been pretty random, yet their Granietsteen, old-vine Chenin Blanc was attractive and interesting. Their Pinotage was most un-Pinotage-like, while the Swanesang Syrah was compelling. I was also impressed by the Mailly Grand Cru Blanc de Pinot Noir Champagne, with its classic vinosity and finesse of mousse. As at the Co-op, I scored using both / 20 and / 100 systems, simultaneously. The wines are listed in the order of the tasting book – and roughly the order tasted – sparkling, white, red, and sweet and fortified. Made by Trevisiol. 40 year old vines up to 400m altitude. 11.5% ABV. £13.95 / bottle. 12% ABV. £45 / bottle. Made by Mailly Grand Cru co-op. High proportion of Pinot Noir. 12% ABV. £39 / bottle. 12% ABV. £50.50 / bottle. 12% ABV. £54.50 / bottle. Late frosts then a heatwave. Range of fermentation temperatures and yeast strains to create multi-lot ferments, then blended. 11.5% ABV. £16.95 / bottle. 1.65Ha plot. Red sandstone and volcanic sediments. Whole bunch pressed. Stainless steel, wild yeast fermentation. 14% ABV. £42.95 / bottle. Hondarrabi Zuri. Lees matured. 11% ABV. £14.95 / bottle. 14% ABV. £19.95 / bottle. 14% ABV. £42.50 / bottle. 13.5% ABV. £12.60 / bottle. 13.5% ABV. £17.15 / bottle. 13.5% ABV. £22.50 / bottle. Made by Patrick Javillier. Multi-plot selection. Fermented and matured in oak. 13% ABV. £39.95 / bottle. 0.2Ha in 2 parcels in Charmes-Dessus and Charmes-Dessous. 13% ABV. £85 / bottle. Polkadraai Hills weathered granite plot, planted in 1982. Whole bunch pressed to 500L oak with natural fermentation and MLF. Unfined and unfiltered. Small SO2 addition. 12.5% ABV. £21.50 / bottle. 50-year old Chenin Blanc bush-vines on decomposed granite, near to False Bay. 5 days on skins before fermentation. 9 months on lees. Low intervention. 13% ABV. £33.50 / bottle. Limestone. Whole bunch pressed. Fermented then aged in 14 year old oak. Natural MLF means around 50% of barrels complete it. 13.5% ABV. £13.95 / bottle. 5.5Ha gravel-alluvial plot on Isla de Maipo estate. 13% ABV. £27.95 / bottle. 13.5% ABV. £17.95 / bottle. Young bush vines using cuttings from the oldest known Mourvèdre vines, planted in 1853 at the Hewitson Old Garden vineyard. 16 months in oak, rotated to stir lees. 14% ABV. £18.95 / bottle. 50% Cabernet Franc, 30% Merlot, 17% Cabernet Sauvignon, 3% Malbec from Darling and Franschhoek. Separate fermentations by variety followed by 12-18 months’ ageing in 35% new barriques, before blending and 6 months’ further ageing. 24 months in bottle, pre-release. 14% ABV. £22.50 / bottle. Dry-farmed, bush vine Cinsault on granite and sand. De-stemmed to retain acidity. Fermentation with gentle pumpovers. Pressed to 500L oak for maturation. 12.5% ABV. £21.50 / bottle. 47 year-old bush vines on deep sand, granite and quartz soils. Wild yeast fermentation. 10 months maturation on lees in 4th-fill French oak. 13% ABV. £33.50 / bottle. P: Brisk acidity. Berry fruits and some funk. Weird but good. Grainy, firm tannins. Good length. Not your regular Pinotage! Old, dry-farmed Syrah in Lower Helderburg, grubbed-up after the vintage – hence swansong. 70% foot-trodden with intact stems and 30% whole bunch. Wild yeast fermentation for more than 2 weeks. Basket-pressed to barrel. 10 months maturation on lees in old French oak. Unfined and unfiltered. 13% ABV. £33.50 / bottle. Multiple plots across different Willamette AVAs, particularly Eola-Amity Hills and McMinnville. 13.5% ABV. £72.75 / bottle. P: Brisk acidity. Black cherry and boysenberry fruit. Flint and mocha. Fairly firm, chalky tannins. Medium-long to long. Warming finish. Doesn’t quite hang together – and certainly underperforms for the price! 13.5 acre, biodynamic property in Yamhill-Carlton AVA. 13% ABV. £109 / bottle. 162Ha, organic certified estate between 650-700m altitude, with average 40 year old Monastrell. 14% ABV. £11.50 / bottle. Touriga Nacional, Touriga Franca and field blend. Matured in 15% new French oak. 13.5% ABV. £17.95 / bottle. 13.5% ABV. £20.95 / bottle. P: Brisk acidity, ripe / baked red and black fruit. Firm to high, rustic tannins. Aglianico on the palate! 13.5% ABV. £45 / bottle. Sangiovese from Montalcino. 13.5% ABV. £19.85 / bottle. 14% ABV. £42 / bottle. “this Brunello is youthful but forgiving with a brightness and lift”. 14% ABV. £44.50 / bottle. “the nose of this wine shows a prettily composed sweet strawberry core”. 14.5% ABV. £65.50 / bottle. Made by Davide Rosso of Giovanni Rosso. 14% ABV. £28.50 / bottle. 14% ABV. £36 / bottle. 12.5% ABV. £22.95 / bottle. Made by Rémi Pouizin. 14% ABV. £11.45 / bottle. N: Spiced, crushed rock over floral, sweet black cherry. Some leafy / garrigue notes. Obviously Rhône? Made by Benjamin Leroux, from de-classified vines in Chorey-lès-Beaune. 14% ABV. £23.50 / bottle. N: Spicy oak tone to crunchy, mixed red berries. Some scent and perhaps some meatiness? 0.51Ha on brown alluvial soils, below Champans, mainly planted in 1956 and some 1998. 13% ABV. £60 / bottle. 0.5Ha at the bottom of the appellation, next to d’Angerville’s monopole Clos des Ducs, planted between 1959 and 1974. 13% ABV. £62.50 / bottle. 0.72Ha planted in 1971, 1983 and 1997. 13% ABV. £65 / bottle. 0.54Ha in 2 parcels, planted between 1976 and 1986. 13% ABV. £75 / bottle. Very good botrytis. Old oak and stainless steel fermentation. 13% ABV. £25.50 / 37.5cL. Harvested 5th December. 10.6 g/L TA, 129 g/L RS, 8% ABV. £75 / 37.5cL. 20.5% ABV. £19.95 / 50cL. Solera of 6 barrels, set aside in 1930s as a family reserve. 16% ABV. £65 / 50cL. Made by Quinta do Noval. 21% ABV. £26.95 / bottle. 20% ABV. £46.95 / bottle.